Buy your Trico® Standard Steel Frame Wipers for your 1974 Alfa Romeo GT Veloce $8.95 ea. With your wipers stopped midway on your windshield it should be easy to lift your wipers up and away from your windshield. Your old wipers should stick out, away, from your windshield. Now allowing for easy access during the rest of the changing process. Be sure to take note of which new blade length goes on which side. Measure or just compare old blade length to the new Trico® wiper blades. Then place the new blades on the correct side. Your 1974 Alfa Romeo GT Veloce has a small hook attachment for the windshield wipers to connect with. Different wiper manufacturers use different style attachments for the small hook. Look for a button or a latch to lift and slide off the old wiper blade. Push the arm end through the hole in front of the adaptor. Then push blade on to the arm hook. You will feel a "click". Double check that wiper blades and adapters are locked on to the wiper arms. Lower wipers back down to their functional positions. Carefully lower your new wipers down to your windshield. Discard old wipers and packaging material. Congratulations! You just installed new Trico® Standard Steel Frame Wipers on your 1974 Alfa Romeo GT Veloce! Great all-weather beam wipers from Trico® The Leader in Wiper Blade Technology. Beam blades from Trico® are a sleek low-profile styled "Memory Curved Steel®" beam covered in rubber and plastic to keep out rain, ice and debris. That means there are no frozen wiper joints to cause uneven wiping and streaking. Buy your Trico® Tech Beam Blade wipers for your 1974 Alfa Romeo GT Veloce $14.95 ea. Slide the new blade on to the hook and push the blade in to the armhook until it locks in place. Congratulations! You just installed new Trico® Tech Beam Blade wipers on your 1974 Alfa Romeo GT Veloce! Great all-weather premium beam wipers from Trico® The Leader in Wiper Blade Technology. Trico® Force has additional air foils to keep the blades stuck to the windows at higher speeds and No lifting in high winds. Buy your Trico® Force Premium Beam Blade wipers for your 1974 Alfa Romeo GT Veloce $20.95 ea. Before installation, of the new wiper blade, slide off the plastic protector from the blade rubber. Congratulations! 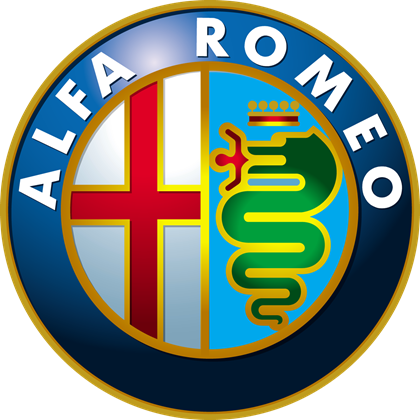 You just installed new Trico® Force Premium Beam Blade wipers on your 1974 Alfa Romeo GT Veloce!